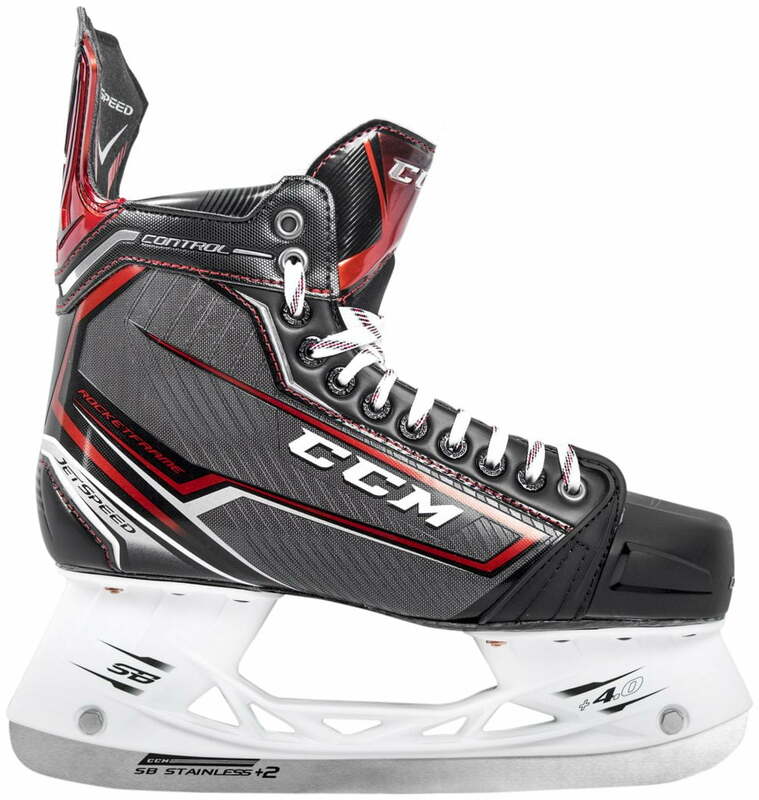 CCM JetSpeed Control “Exclusive” S17 Senior Hockey Skate | Sports Etc. Designed for ultimate speed, the high definition contoured boot shape provides a fit which wraps closely around every segment of your foot. The result is a fit to help generate more efficient power and performance with every stride. Sports Etc Performance To Value Rating– 10 out of 10- This exclusive skate has many features of a much more expensive skate at a reasonable price. Recommended for skaters at any level looking for a snug, locked in fit through the heel and ankle.